At our core we are an advocacy organization. Much of our focus happens to be grassroots racing but we want to contribute to mountain biking in New England however we can. We share many values with the New England Mountain Bike association and when we heard they were looking to establish an event created and organized by women for women we were happy to back them in that effort. Going forward EFTA will be setting aside funds each year looking to support local events and programs of various sorts all in the hope of supporting and advancing mountain biking in New England. 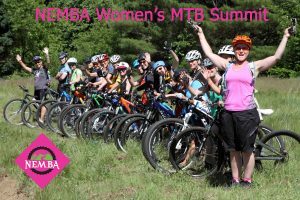 Donating to NEMBA to help offset the costs of organizing a Women’s Summit in the hopes of getting more women connected, riding, and racing was an easy decision to make. Starting in 2018 we are looking to launch a grant program where local groups can submit requests for EFTA support.